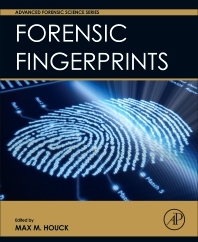 Forensic Fingerprints, the latest in the Advanced Forensic Science Series which grew out of the recommendations from the 2009 NAS Report: Strengthening Forensic Science: A Path Forward, serves as a graduate level text for those studying and teaching fingerprint detection and analysis, and will also prove to be an excellent reference for forensic practitioner libraries and for use in casework. Coverage includes fingerprint science, friction ridge print examination, AFIS, foot and palm prints, and the professional issues practitioners may encounter. Edited by a world-renowned leading forensic expert, this book is a long overdue solution for the forensic science community.